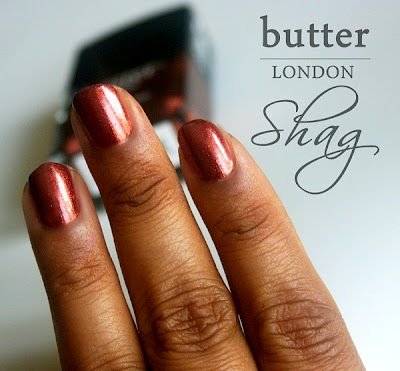 butter LONDON's Autumn/Winter 2012 Collection features five new nail polishes - Shag, Trustafarian, Lovely Jubbly, Dodgy Barnett and Gobsmacked. Two of them swatched are Shag - A metallic, shimmery copper and Trustafarian - Sage green with gold undertones in a holographic finish. Both polishes have a nice formula, thin but easy to work with. Shag is completely opaque in two coats and Trustafarian takes a good 3 coats for the holographic particles to shine through. 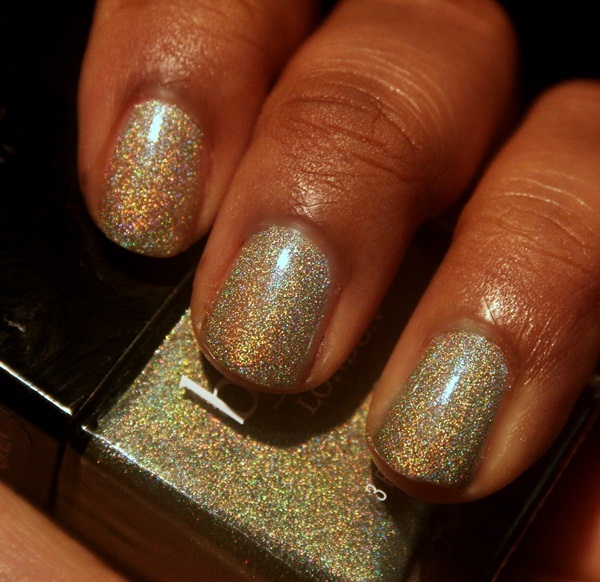 It looks fantastic under sunlight and pretty much anywhere bright lights hit the polish. It is great to be layered over other polishes too. Shag is a perfect fall color, very rich in texture, something I would reach out to a lot. Both polishes started chipping after about 2 days on me. I wish they lasted a little longer since the colors are very pretty themselves. 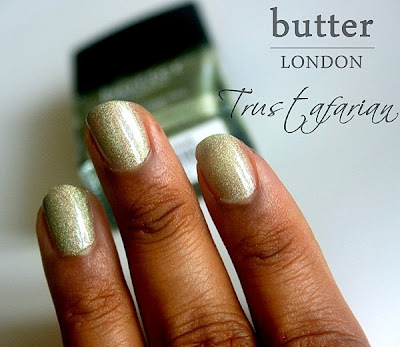 Overall, both Shag and Trustafarian from butter LONDON's A/W collection are very well-done, wearable, unique colors just like a few others from the brand. Formula wise, both polishes went on smooth and dried pretty fast too. If you like rich, dark metallics, Shag is a must-have. What are your thoughts on the butter LONDON Autumn/Winter 2012 Collection? I love both the shades but trustafarian is so pretty and I don't own something like that.And trustafarian looks great on you!! Thanks, giggle :) It is a very unique shade! So pretty! Love the Trustafarian :) Love your blog!